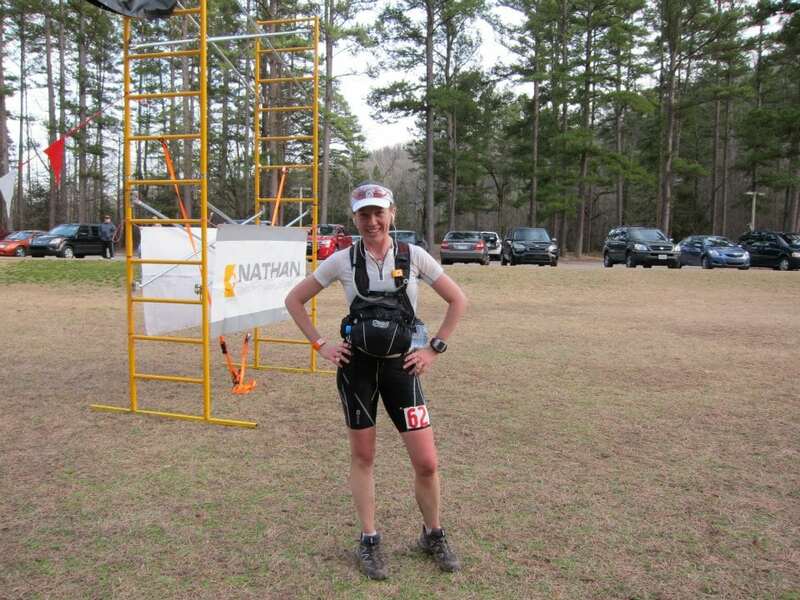 The author trains with her MdS kit at 3 Days of Syllamo this spring. This photo shows how the OMM Trio has been modified to carry 1.5-liter water bottles (Travis Liles photo credit). Megan. Did any of the MDS crew complain about the siting of the trio and where to place your race number? No. The race number sits perfectly just above the front pack, at least the way I wear the Trio. I pin the bottom of the number to the top of the pack and the top of the number to my shoulder straps and it’s good to go. Are you running MdS this year? If so, best to you!